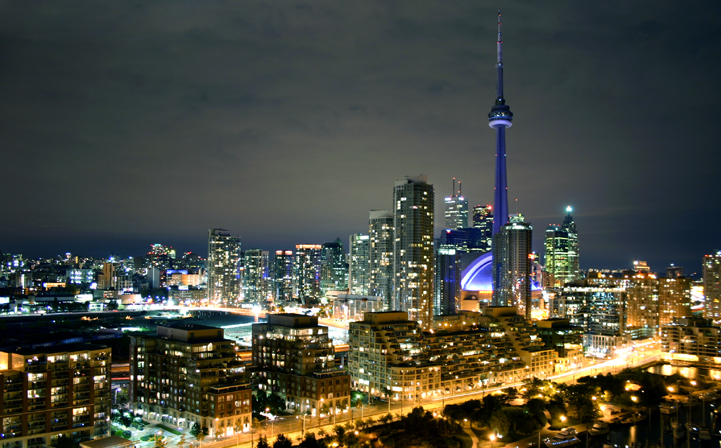 We would like to welcome all of you who will be attending next week’s ISA conference here in Toronto. This post contains some information on activities in relation to the RC21 specific part of the ISA conference and on Visiting Toronto. We will have an exceptional walking tour with one of Toronto’s most knowledgeable activists on urban poverty, representing a great fit with the overall theme of the ISA conference. The walking tour is scheduled such that you don’t miss any sessions at the conference and will take place on Friday, July 20, 12:30pm to 3pm. Costs by donation. Please send an email asap if you are interested to lehrer@yorku.ca, spaces are limited. The walking tour will explore the past and current history of poor people’s resistance in Downtown East Toronto, one of the city’s oldest working-class neighbourhoods, which is now threatened by gentrification. The walk will take place in the heart of what was once known as the city’s “skid row.” Participants will learn how the Ontario Coalition Against Poverty has used direct action since the 1990s to fight cuts to social assistance and to address the city’s shelter and housing crisis. The walk will take you through some of the history of this resistance, such as the opening of squats, the massive protest against the Provincinal government in June 2000, the Special Diet campaign, and the fight for a 24-hour shelter for women and transgendered persons. Gaétan Héroux is a long-time OCAP member, who has worked in Downtown East Toronto for the last 30 years. He is also co-author, with Bryan D. Palmer, of Toronto’s Poor: A Rebellious History. Toronto is a very safe, welcoming and in many parts a highly walkable and transit friendly city. While the conference is located in the downtown core, you are encouraged to also explore other parts of this multicultural city and the region. The weather forecast for next week looks great, with temperatures during the days in between 28 and 30 degrees and the nights just below 20 degree Celsius. Humidity is often high, which means that temperatures can feel even higher. However, the conference rooms and other indoor spaces do have air conditioning, which often leaves you with a chill when you don’t have anything to cover up your bare arms or legs. On Tuesday and Friday there is the chance of scattered thunderstorms. We have an inexpensive public transit system. For $3.25 you can go just about anywhere in the metropolitan Toronto using the Toronto Transit Commission (TTC) subways, streetcars and buses (if you buy 3 or more tickets at once, the price will drop to $3/ride). You can transfer from subways to streetcars to buses without extra cost. All you have to do is get a transfer. Alternatively to individual fares, or buying tokens, you can get a Presto card, which you can use on buses, streetcars, subways, the UPX and GO trains. Toronto Pearson International Airport is located about 30-45 minutes by car from downtown Toronto (depending on the traffic). There are several ways to get to downtown Toronto from Pearson International Airport. Taxi/Limousine – the most expensive way; costs about $60-65 flat rate to downtown; there are officially marked Taxi stand (Limousine have same flat rate as taxis). UPX – Union Station Pearson Express; costs about $12 from the airport to Union Station (where the Congress Centre is located); train every 15 minutes; takes about 30 minutes between the airport and Union Station; you can get onto the UPX at Terminal 1. TTC – the cheapest way; costs $3.25 (you need exact change for the bus); take TTC bus #192 at Terminal 1 at ground level or Terminal 3 at arrival level, and it will get you to the Kipling subway station, where you then transfer onto the subway line and go downtown. Please see (https://www.ttc.ca/Riding_the_TTC/airport_service/toronto_pearson_international.jsp ) for more information. Ø The Suburbs. Take the subway from Union Station to Vaughan, the terminus of the newly extended York Spadina subway line. Get out at the end and look around for a totally different view of Toronto. Here is where the city grows in leaps and bounds. Not much to see yet, perhaps, an Ikea and a Walmart, but it is in suburbs like this one where most of the region’s immigrants will settle. On your way back, first stop and look around at York University station. This is the suburban campus of Canada’s booming third largest university where we teach. Walk from there to your next stop south, Finch West, or take the subway there for a good view of the city’s modernist tower suburbs, a characteristic feature of Toronto, where most of the city’s renters, newcomers and disadvantaged communities live. Ø The Exurbs and the Greenbelt. If you can rent a car, go west to Mississauga and Brampton, giant suburban cities of 700,000 and 500,000 inhabitants. See the new boomburbs and ethnoburbs that now define the region. Proceed north from there to the Ontario Greenbelt, the world’s largest permanently protected area of its kind: http://www.greenbelt.ca/about_the_greenbelt There is lots for you to explore there, not least as views from its moraine hills affords you a view of the city that puts urban growth in perspective. We are looking forward in welcoming you to Toronto.